A gold mining camp in the California foothills is besieged by a neighboring landowner intent on stealing their claims. A preacher rides into camp and uses all of his powers of persuasion to convince the landowner to give up his attacks on the miners. Clint Eastwood is a mysterious preacher who comes to a gold mining camp near a small town in the mountains. The miners are in grave danger as a ruthless landowner decides to take their land, with the support of the sheriff. The only one who seems brave enough to save them is this preacher who came from nowhere and nobody knows his past or his real name. Why is the sheriff afraid of him? Why is he such a good shooter? Is he really a preacher? 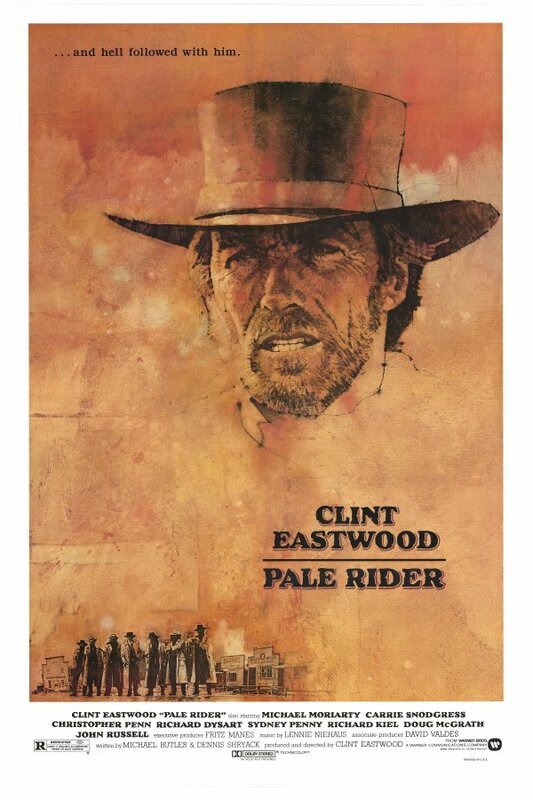 Clint Eastwood's best in a while Clint Eastwood returns to the old west after a 9 year absence with Pale Rider.He plays a mysterious preacher who rides into a small mining town that is constantly being terrorized by a greedy land owner named Coy LaHood(Richard A. Dysart. )Eastwood is ultimately able to fend off many of LaHood's goons and wins the respect of the miners including Hull Barret(Law &, Order's Michael Moriarty) and his girlfriend Sarah Wheeler (Carrie Snodgress).But then LaHood calls upon a brutal sheriff named Stockburn(John Russell) who is able to uphold the law according to the highest bidder with the help of his six deputies.This ultimately leads to what I think is one of the best shoot-outs ever filmed. 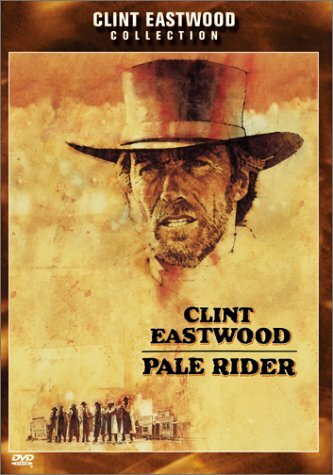 This is my second favorite Clint Eastwood western with Unforgiven being my favorite.Eastwood has directed a lot of good movies in his career like the aforementioned Unforgiven and Pale Rider, Space Cowboys, and True Crime.But also several of his best movies are also his most underrated like Absolute Power, White Hunter Black Heart, Heartbreak Ridge, and Firefox. 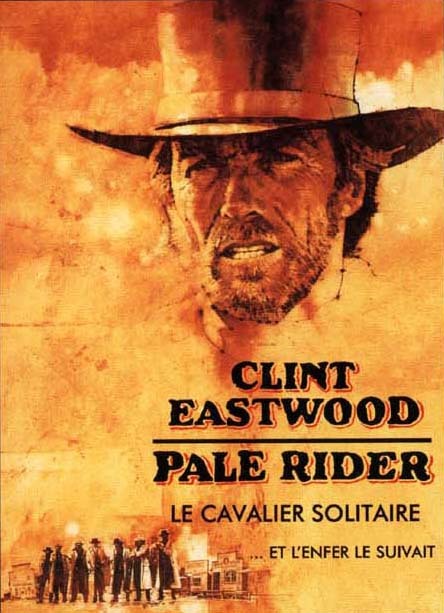 Pale Rider gets a 10/10.